Everyone has their talents. Sure, Violet isn’t super strong like her dad. She can’t run faster than a race car, like Dash. And she definitely can’t stretch her body into any shape like her mom. She can be quiet and reserved sometimes, and she really doesn’t seem like the superhero type. But don’t let that fool you! In many ways, she’s more powerful than the rest of the Incredibles family. Just look at her powers! Her force fields are strong enough to protect her and her family from any danger, and her ability to go completely invisible is also a pretty handy trick to have when fighting against supervillains. Being super strong or super fast both sound kind of boring when compared to Violet Parr’s powers. She’s the kind of girl you definitely want her on your team, just like your little girl! 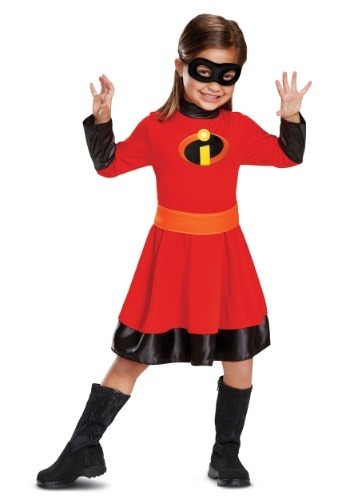 Your little girl will love transforming into the most powerful member of the Incredibles family with this Violet costume for toddlers. 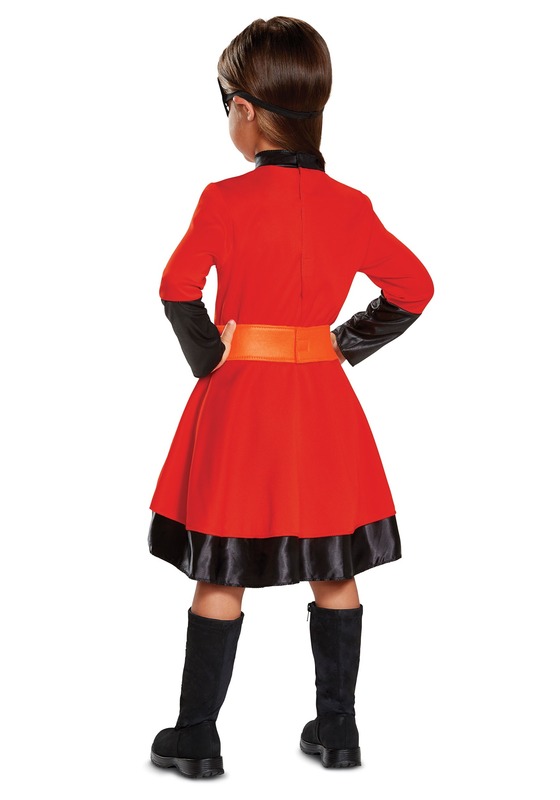 The costume is based on the outfit worn by Violet Parr from Incredibles 2. It's a bright red dress that has long sleeves. It has the Incredibles symbol proudly displayed on the front. The sleeves end in black cuffs and the skirt has a black hem band. The costume also comes with an eye mask to help hide her secret identity (especially from her crush, Tony). This girls Violet costume pairs perfectly with the rest of our Incredibles costumes, so you can head out as a whole family! Just make sure to keep an eye out for Syndrome and the Screenslaver… those villains are bound to be up to some nefarious plans when you and your little girl head out dressed as Disney’s greatest family of heroes.